When I decided to add this blog to my website a few weeks ago, I was thinking metaphorically. Navigating the terrain above treeline, it seemed to me, was a not-quite-perfect but good enough way to think about mid-life. The views from a mountain are expansive and reward one’s efforts; one hopes that the perspective of mid-life is similarly far-reaching and satisfying. In both cases, we can look back to where we started. In both cases – one hopes – we’ve learned and changed. I also wanted a writing home that was similarly expansive. Over the last few years, writers have been advised to specialize, to focus on niches, to showcase expertise. But I wanted a writing outlet where I could bring together disparate elements of my world: hiking, writing, music, adventuring, photography, being an art student and a budding novelist. I wanted a place where I could explore how all these things interact. As they say, if you want God to laugh at you, tell her your plans. About a month ago, while sitting at the table for a family dinner, my partner, David, had a stroke. The first signs were subtle: He seemed tired. He let other people do the chores – which is so unusual I should have called 911 immediately. Then again, when someone doesn’t clear the table, your mind doesn’t automatically jump to “he must be having a stroke.” It was only when David dropped a glass and couldn’t stand up that warning bells turned to sirens. He was the one to identify what was happening. And then he spent the next 20 days in the hospital. To return to my mountain metaphor: the land above treeline is not all Instagram moments of glorious views. It is also fog and storm and lightning strikes; it is dangerous and unpredictable, and it can kill you. When I landed on the above-treeline metaphor, life had been sunny for a good long time. It was easy to forget that mountain weather can change without warning. And if I am writing about life above treeline, this, too, is part of it. As I drove the hour, each way every day, to the hospital my mind mostly wandered down the mundane paths of list making, calls, doctor’s appointments, and errands. In between, I had time to consider how lucky we had been. Yes, lucky: If David had had his stroke three hours earlier, he would have been driving my 87-year old mother to our house. Five minutes later, my sister and I would have been driving my mom home; David would have been alone with visiting teenagers who live in a different state, know no-one local, and might not have been able to help the 911 folks find our dirt road. Six weeks earlier, I had been in Switzerland and David had been home alone. As word seeped out to our friends, I learned that I had even more to be grateful for: A community that has carried us through this crisis in ways we never could have imagined. The Riverside Jam Band at at the benefit for David at Dewey Hall in Sheffield. Every year for the past 18 years, David has been one of the people leading a musical jam that brings together friends and musicians for a weekend of music making. We were scheduled to host that event two weekends after David’s stroke. We had friends coming in from Washington D.C., Philadelphia, Baltimore, New Jersey, Toronto, and Chicago. I had to write to everyone to cancel the event. Only, they refused to be canceled. The jam was one thing, they told me; friendship was another. They might not play music, but they wanted to visit David, help me figure out if anything in the house needed to be fixed or made more accessible, run errands, keep me company. One of my friends said, “Karen, you’re not going to be doing this alone. You guys have a lot of friends, and people are going to be here for you.” I didn’t know what help I’d be needing…. During those early days, I was mostly in crisis mode and not looking too far ahead. But it helped to hear that our friends had our backs. And they did: Faraway friends offered to use up vacation days to come and visit and shop and clean. Local friends came for visits and offered to run errands. And then they all came together and created some magic. It started when one of our local musician friends said, well if the jammers are coming anyway, maybe they could put on a benefit concert? Another friend suggested putting up a GoFundMe page for people who couldn’t be at the benefit but wanted to help. Our friends were way ahead of us on the issue of money: I was focused on David’s ability to find words and move his arms and legs. I hadn’t even begun to think of the financial implications. As writers and musicians, David and I are both in the leaky boat of creative self-employment. Yes, we have insurance, and yes, we have savings, but holding those up against the onslaught of a major medical event is like looking at an approaching tsunami and congratulating yourself on having installed a sump pump. Huge medical events hit everyone differently. If you’re lucky, you have a job with generous sick leave, and your position will be waiting for you when you are ready to come back. But many jobs don’t offer that flexibility and stability: For too many of us, the reality is, if we don’t work, we don’t earn. Being self-employed, David and I both have the option to juggle our schedules and take time off (although too much time off might mean rebuilding our student and client lists later down the road). But the trade-off – flexibility for reduced income – was a good one: It meant that I could spend time at the hospital to participate in the therapy sessions and learn how to help David at home. But we knew that even with insurance, expenses will mount during the weeks or months when David will be unable to work. Another thing: trying to keep going with work when you are managing a homefront in crisis can be emotionally as well as practically difficult. So although it felt a bit uncomfortable, we said yes to the benefit and yes to the gofundme page. We had no expectations; we were just grateful to accept help. Writing this post feels odd because these issues – accepting help, financial realities, friendships – are deeply personal, and I don’t really know who I’m writing to. But I’m going to assume that you’re not a stranger. 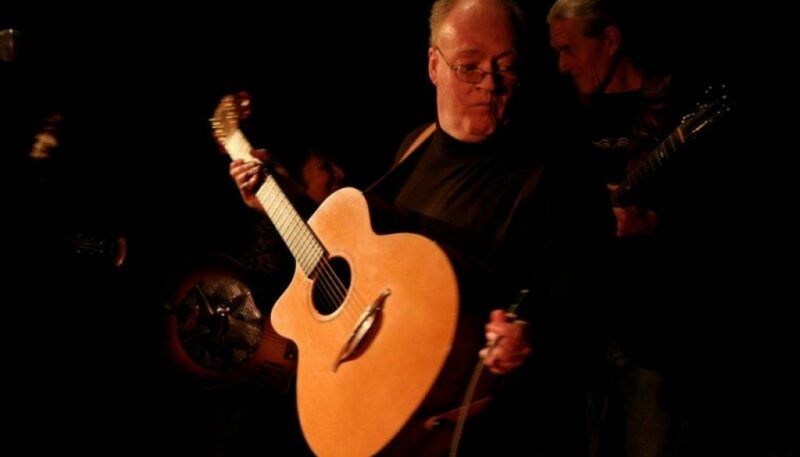 You could be a high school, college, camp, or work friend, a musician friend, a fellow writer, a current or former student, or one of the thousands of people from all over the world who have learned to play guitar thanks to David’s Internet writing. 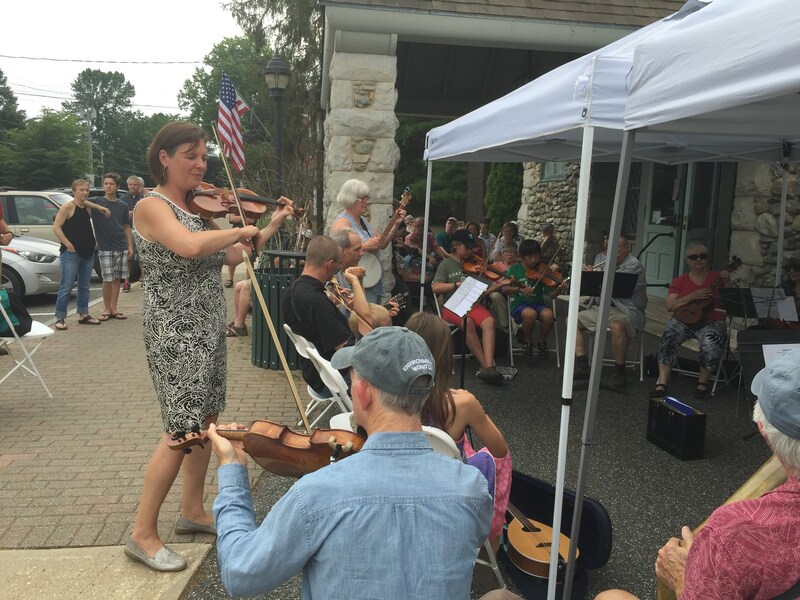 If you live in the Berkshires, you might be a student, coworker, fellow musician, friend — or all of the foregoing. You could be one of the many people who donated anonymously, and this is the only way I will ever be able to thank you. Many of you contributed to David’s recovery in so many ways I can’t even begin to list them all: Contributing money, yes, and also bringing food and drink to the benefit, hosting the musicians at dinner, donating items for the raffle, contributing your music to the nearly 6-hour event, helping to get the word out with calls and e-mails, collecting donations at the door, selling food and drink, cleaning up afterwards, sending heartening messages and notes, and coming to visit. David has received notes from all over the world, often from people who he doesn’t know, but who have told him how much his work (teaching guitar and writing about how to learn to play guitar) has meant to them and how they have applied that knowledge in their lives. Many of these notes came with donations. We appreciated every single one, from friends and strangers alike: For you to follow David’s recovery, write a note, and take the time to send a contribution because his work has touched you in some way has bolstered our spirits in ways you can’t imagine. On a practical level, these donations mean that we can breathe a little easier as David works on regaining his balance, his hand coordination, his strength, and his endurance. Just now, everything is exhausting and laborious, but the daily improvements continue to be very noticeable and encouraging. The first three months after a stroke are when the most progress is made, so being able to focus on his recovery at this crucial time is a huge gift. Violin teacher Erika Ludwig leads a string-based ensemble of players of all ages and walks of life in the opening act of the benefit. David regularly plays with this group. As important is the sense of community you shared with us. The weekend concert turned into much more than a fundraiser: It was an expression of how music brings communities and people together. Event organizer Erika Ludwig picked up her violin to lead the Fiddling Femmes, who opened the show joined by other instruments from flute to tuba. The B.U.B.s (Berkshire Ukulele Band) followed with a 45 minute set that included “Imagine” and “Somewhere Over the Rainbow” (I was able to video that for David, and he got teary viewing it). Next up was the Riverside Jam Band, with two hours of music with Nick Torres lead singer and Jeff Brownstein as conductor, set director, and cat herder. And thanks SO MUCH Fred Shane, sound engineer, for your great sound work! 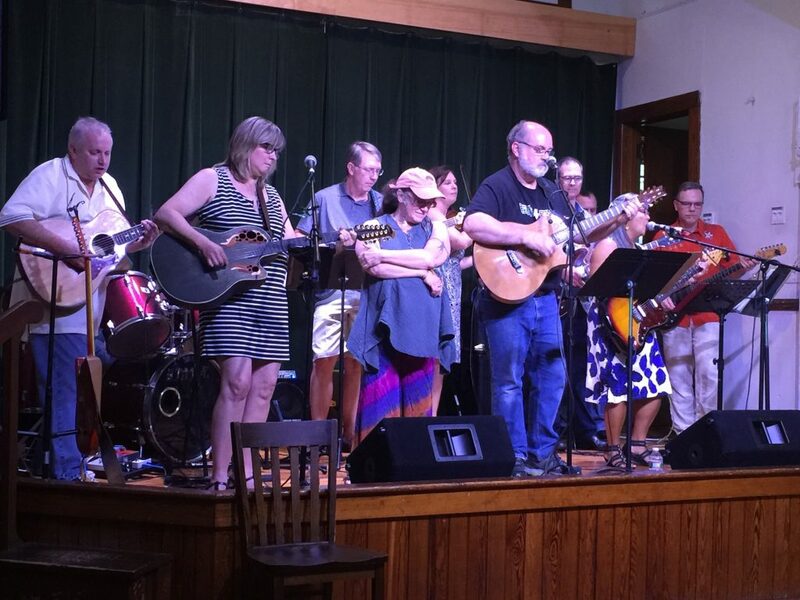 The icing on the cake was Marilyn Miller’s community jam and open mic that featured originals, favorite pop and rock tune, and one of David’s students on classical guitar. I think there were more than 60 musicians from somewhere around age 8 or 9 to 80 (at a guess). And scores of audience members. 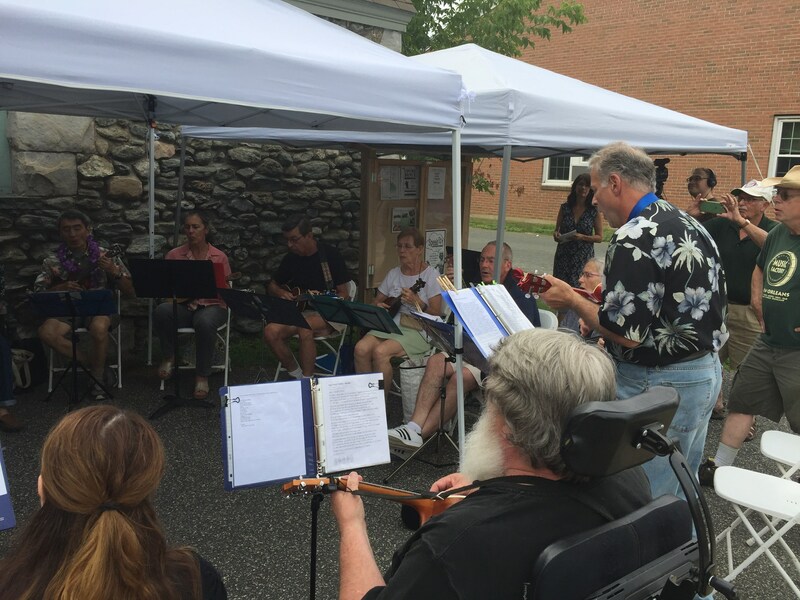 The Berkshire Ukulele Band gave us the second set. David has taught many of these players i his uke classes at Berkshire Community College. Even now at home, we continue to receive cards and offers of help and notes and little gifts, some of them anonymous. Who left the little bouquet of wildflowers at my door? How are we going to thank you if you don’t tell us who you are???? I am not usually a “silver linings, the universe has its reasons” sort of person. The universe can be full of love and wonder, but who draws what straws in the lottery of life seems pretty random to me. And that same universe can turn on a dime and be pretty freaking nasty. You just have to look at a news reports (Syria, tsunamis, floods, terrorism, mass shootings) to disabuse yourself of the notion that everything happens for a reason. All of us get sick, all of us die, none of us gets a pass through the hard stuff as we explore our humanity. And sometimes the S&%t hits the fan. On the other hand, sometimes there ARE silver linings, and when they shine right in front of your face, you can’t pretend they aren’t there. Grace often appears in the midst of crisis. In this case, the silver lining – the grace — is all of you.